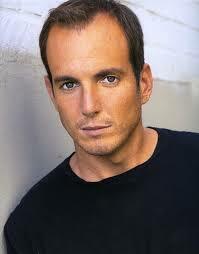 Will Arnett was born on May 4, 1970, in Toronto, Canada, to Alexandra Arnett and E. James Arnett. The Arnett family enjoyed relative financial luxury; Will’s father worked as corporate lawyer who later became president and CEO of Molson Breweries. Arnett has two older twin sisters and a younger brother. As a child he attended French-speaking schools and played hockey (he remains a fan of the NHL’s Toronto Maple Leafs). A troublemaker in his youth, Arnett was sent at age 12 to an all-boys boarding school where, he recalled, “I was constantly caught smoking. You had to chop wood if you got caught smoking, so I was always chopping wood. It was a very outdoorsy school.” He was asked to leave when he was 16. His mother suggested that he channel his energies into acting, and as a teenager he began auditioning for commercials in Toronto. After graduating from high school and completing a semester at Concordia University in Montreal, Will Arnett dropped out of school and, in 1990, moved to New York City to pursue a career as a dramatic actor. Six months later, he began dating comedian Amy Poehler. Arnett was briefly married to actress Penelope Ann Miller from 1994 and 1995, and lived with actress Missy Yager for four years after that. But Poehler, he said, was “the best thing that’s ever happened to me.” The couple married in 2003. Arnett moved from Los Angeles back to New York after Poehler was hired by “Saturday Night Live” and did a series of television guest spots: as a dancer on “Will and Grace,” a pedophilic travel agent on “Law & Order,” and an FBI agent on “The Sopranos.” His big break came in 2003, when he was asked to audition for the part of G.O.B. –pronounced “Jobe” — on a new show called “Arrested Development.” Arnett initially turned down the job — he had been fired from his last pilot and had sworn them off completely. His agent insisted, however, and Arnett traveled to L.A. to read for the role with Jason Bateman, David Cross and the rest of the ensemble cast. “And right from moment one, it just felt really right,” Arnett said. ”Arrested Development” aired for three seasons on Fox, becoming a critical hit with a fanatically devoted cult following. Arnett received an Emmy nomination in 2006 for his portrayal of G.O.B., a washed-up magician whose arrogance outstripped his intellect. In 2011, Arnett returned to series television with “Up All Night.” He and actress Christina Applegate played new parents on this popular sitcom that ran for two seasons. Arnett reprised his most famous role in “Arrested Development” for a fourth season of the show, available through Netflix in May 2013. In September 2012, Arnett and Poehler announced plans to divorce after nine years together. The couple has two children, sons Archie and Abel. Do you want to hire Will Arnett? Directly request a quote. In 48 hours we can send you the availability of Will Arnett If you would like to book Will Arnett, Entertainment Booking Agency is the right place. We will offer you the best price and contact the management or we directly contact Will Arnett. For corporate appearances or speaking engagements you can contact our agents and the will help you true the process. Tags: hire Will Arnett, Will Arnett booking, book Will Arnett, Will Arnett appearances, find more information on booking Will Arnett for appearances, Will Arnett speaking engagements, Will Arnett endorsements/spokesperson, Will Arnett appearance fees, Will Arnett booking agency contact info, biography of Will Arnett, Contact an artist booking talent agent find a speakers bureau that can book Will Arnett, speaker booking agency for Will Arnett, Will Arnett booking agency, Will Arnett booking for corporate event. EBA is one of the biggest entertainment booking agencies in the World. We book hundreds of celebrities, artist, athletes and speakers in a year. Important to know is that we are not claiming to be the management of Will Arnett. We are not the official agent for Will Arnett. Companies from around the globe book these artists and speakers true our company be course we have one of the biggest networks and we always have direct contact with the artist or the management. We help you to find the right celebrities for your corporate of private events. Please contact one of our agents to get free advice and we will help to get the world-famous artist on your party.